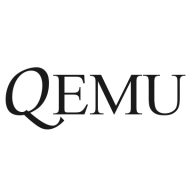 QEMU provides the userspace and device emulation required by KVM. As such, it's an extremely important project to Ubuntu's virtualization and cloud computing efforts. The upstream project has not had an actively maintained bug tracker for quite some time. I recently helped QEMU's maintainer, Anthony Liguori setup a Launchpad project for tracking QEMU's bugs. This should be a good thing for the upstream QEMU project, as well as for tracking bugs in Ubuntu's kvm and qemu packages. I have also set up a bzr mirror of qemu's git tree, for people who are more bzr-inclined.